You don’t need to spend a ton of money to treat your skin well. 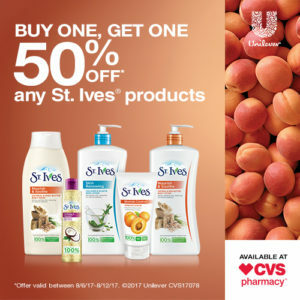 Right now you can save on St. Ives and their range of face and body care products that can help you boost your skin’s natural radiance. Read more about all of the products you can save on right now. 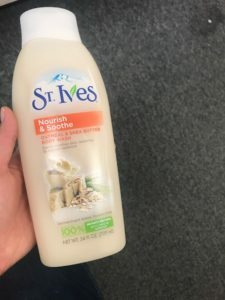 Try the St. Ives® Nourish & Soothe Oatmeal & Shea Butter Body Lotions. They’re made with natural moisturizers, including oatmeal, shea butter and glycerin and they gently soothe skin. 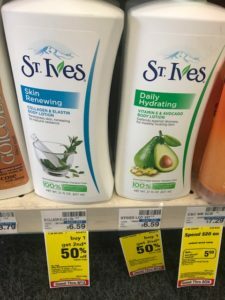 St. Ives products are 100% natural exfoliates and moisturizers. This post is sponsored by Mirum, but all opinions are 100% my own.